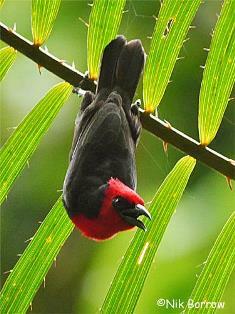 There are 10 malimbes, and they are found in the West African and equatorial African lowland rainforests. The origin of the genus is after the town of Malimbe, Angola, where the first Malimbe (a Crested Malimbe) was collected in around 1800. 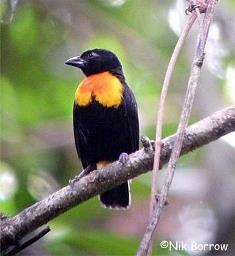 They are generally black with some red, orange or yellow patches. 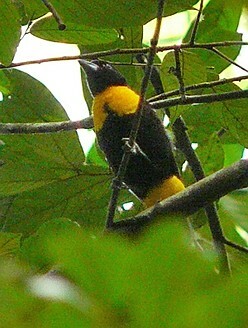 Sexes are different, with females usually having smaller areas of the bright colours. One species has a crest. 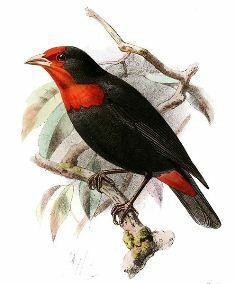 The juveniles differ slightly from both male and female adults in coloration, and also in pattern. 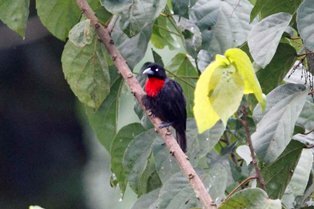 Tow malimbes, the Gola and Ibadan Malimbes, are threatened, being classified as Endangered. 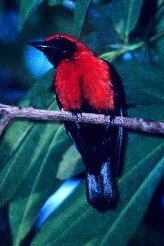 They feed on insects, often high in trees. Up to 6 species may occur in an area, but different species tend to occupy different vertical strata within the forest, ranging from the canopy (eg. 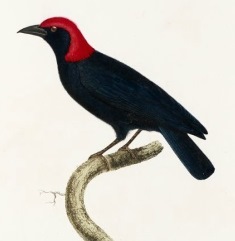 Red-headed Malimbe) down to the understorey (eg. 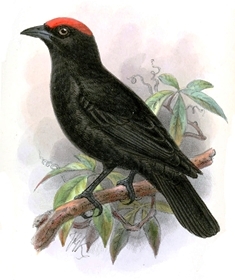 Blue-billed Malimbe). The nests are neatly woven, some species adding a short or long entrance tunnel. ln some malimbes, nest building is co-operative, eg. 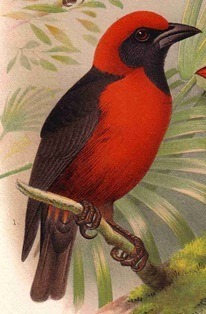 Red-crowned and Cassin's Malimbes. When malimbes breed close together, species are usually separated by nest height above the ground. An unusual nest association with a predator occurs in the Blue-bi11ed Malimbe which often nests above pools containing the dens of dwarf crocodiles Osteolamis tetraspis. 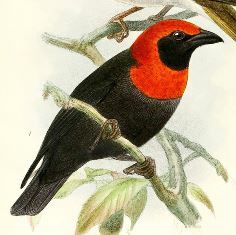 Two weaver species have previously been considered to be malimbes: Red-headed Weaver and Yellow-legged Weaver .